Desi Smith/Staff Photo. 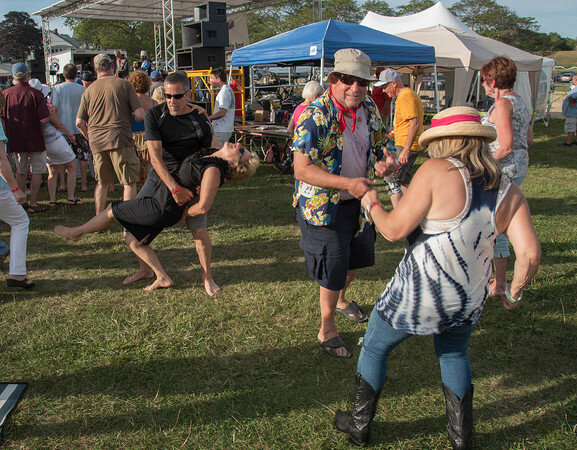 Sal Puglisi (left) from Merrinack,MA dips Dee Cleary from Aulburn NH, while Mike Metevier from Portland,ME dances with Eleanor Sweetman from Haverhill,MA during the Annual Blues Festival Saturday afternoon at Stage Fort Park. August 8,2015.